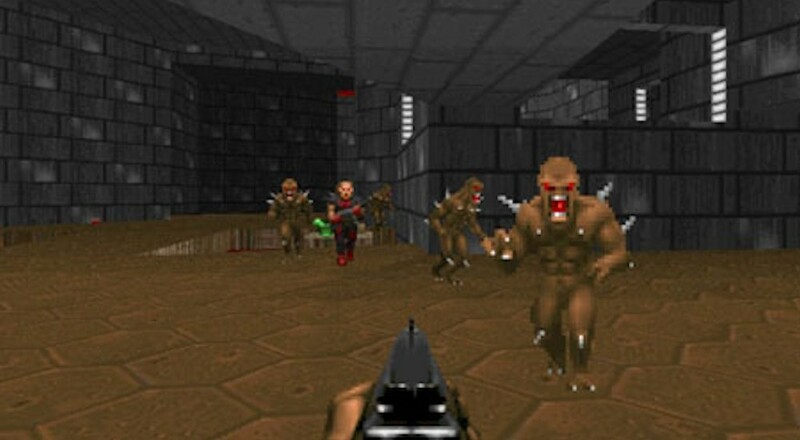 I still remember when my father brought home the shareware copy of DOOM from his office. Someone had made a copy of the floppy disk and passed it around to friends. Installing it on my old 386 and seeing the dimly lit world of the game for the first time, that opening guitar riff, and the gentle head bob has you ran - it was magical. Things got even better the day I bought a 14.4 BAUD modem and was able to play cross town multiplayer and co-op with my friend a few streets over. DOOM set the bar for gaming for a lot of people during my generation and it's influence is still felt today. Wired has a great interview with now ex-id developer John Carmack, one of the creators of DOOM. There's a few choice quotes I'd like to point out. The first, not surprisingly has to do with co-op. John Carmack had this to say as to what made DOOM so special compared to id's and competitors other games. But so many other things don’t stand out so much because they weren’t graphics-related. Obviously the multiplayer was a huge aspect of it, where you had deathmatch for the first time, and cooperative play, just being able to play with your friends. But one of the other things that was not quite so obvious were the very explicit steps I took to make the game moddable. We saw with Wolfenstein people basically figuring everything out for themselves, and making map packs and overwriting sprites and things, and that was all not intended by us. That was an emergent property of the game. Another great quote comes from the talk about the negative light a lot of shooter are put in. DOOM always got looped in with titles that were corrupting our youth and "training" them to shoot. It's laughable now, especially when you consider how far things have come. But Carmack brings up a great point about the whole thing. On the thematic side of things, I pushed certainly for the demonic aspect of it. That’s still something that I feel good about, looking back: In later games and later times, when games get attacked with some of the moral ambiguity or actual negativity about what you’re doing, I always felt good about the decision that in Doom, you’re fighting demons. There’s no gray area here, it is black and white, you’re the good guys, they’re the bad guys and everything that you’re doing to them is fully deserved. So happy birthday DOOM. It's been a great 20 years and I enjoyed countless hours of cooperative play. We may never see another game that has inspired the industry quite like DOOM did all those years ago.